We can answer any questions or concerns you may have about getting your property surveyed. Property surveyor prices. Property Surveyors, Surveyors in Utah, Surveyors in Layton Utah, Surveyors in Davis County Utah, Surveyors in Salt Lake City Utah, Surveyors in Syracuse Utah, Surveyors in Kaysville Utah, Surveyors in Clearfield Utah, Surveyors in Ogden Utah, Surveyors in Provo Utah, Surveyors in Lehi Utah, Surveyors in Orem Utah, Surveyors in Centerville Utah, Surveyors in Bountiful Utah, Surveyors in Farmington Utah, Surveyors in Murray Utah, Surveyors in Sandy Utah, Surveyors in Draper Utah, Surveyors, Surveyors Riverdale Utah, Surveyors in Brigham City Utah, Surveyors in Park City Utah, Surveyors in Summit County Utah, Surveyors in Utah County Utah, Surveyors in Salt Lake County Utah, Surveyors in Weber County Utah, Surveyors in West Jordan Utah, Surveyors in South Jordan Utah, Surveyors in Riverton Utah, Surveyors in Roy Utah, Surveyors in West Point Utah, Surveyors in Washington Terrace Utah, Surveyors in Midvale Utah, Surveyors in Tooele Utah, Surveyors in Wendover Utah, Surveyors in Magna Utah,Surveyors in Coalville Utah, Surveyors in Vernal Utah, Surveyors in Roosevelt Utah, Surveyors in Nephi Utah, Surveyors in Bonanza Utah, Surveyors in Springvale Utah, Building Surveyors, Boundary Surveyors in Utah, Surveyors on Angies List Utah, Surveyors on Craigs List ,Utah Surveyors yellow pages, Surveyors on KSL, Surveyors Century Link, Utah Surveyors on Facebook, FEMA Flood Elevation Certificates. Your flood insurance concerns. Property disputes. 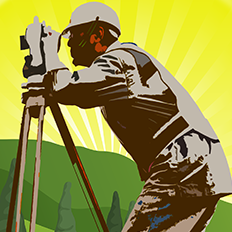 Alta Surveys, Alta Surveyors in Utah, Topographic Surveyors, Property Line Surveyors, Design Surveyors, Construction Surveyors in Utah, GPS Surveyors in Utah, Architectural Surveyors in Utah, Surveyors Mapping for Civil Engineers and Architects.? Surveyor costs in Utah, Utah Property survey cost. 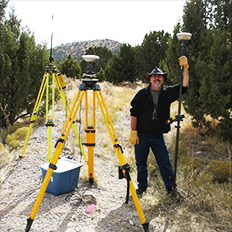 layton surveys land surveying companys, Layton Surveys utah land surveying companys. Residential surveys in Layton. land surveying services in Layton. 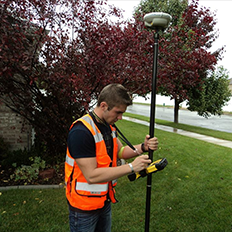 Layton Surveys is a full service Land Surveying Company, serving Salt Lake City, Ogden, Syracuse, Layton and all of northern Utah since 2000. We are celebrating our 15th anniversary in business, and have more than 30 years of experience overall. Land surveying can be a complicated, and frustrating experience for many, so, it would reason that when searching for a land surveyor to resolve your dispute or begin a new project, one would be well-advised to hire a company with an excellent track-record, with decades of experience and with the knowledge and know-how that can only come from years of dedicated service. Layton Surveys is this company. We enjoy our work and take pride in offering great service at fair prices. Land surveys have many legal implications, and we take our duty to protect the public very seriously. We always make sure you understand exactly where your property begins and ends -- from basic, to complex residential land surveying services, to major commercial projects (like City Creek) -- Layton Surveys have proven ourselves time and time again to be extremely capable land surveyors in the state of Utah, no matter the scale or scope of the job before us. Call us at 801-698-5997 with any questions or concerns you may have about getting your property surveyed. We believe that the only way to reach a desireable solution is to consult and engage each client by getting our clients' full story, the facts as they know them, and an understanding of our clients' ultimate desires. 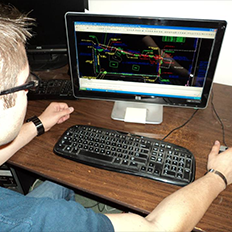 This allows us to lay the ground work, and plot an appropriate course of action to develop the best approach for your project or dispute, and is the best means to determine your land surveying cost. When you visit or call we will ask you a few questions, some of which you may not know the answer to, but don't worry! We are always happy to help you through the process. We will always provide the best information with no pressure! We will act promptly to deliver your needs and interact with you until completion. Every property survey and situation is unique. Every client is unique. No survey is the same. Our 30+ years of experience allow us to bring confidence, competence and understanding to the table. We have an amazing track record of deliverying for our clients, so don't hesitate: If you have a dispute, don't let it go unresolved. Put your trust in the experienced hands of Layton Surveys. Repeat clients and referrals are a great tool to measure quality and satisfaction, and the majority of our work comes from said existing clients and referrals. The reason for this is simple: We have decades of experience and strive to provide only the highest level of service. We look forward to working with you for the first time, or the seventh time.